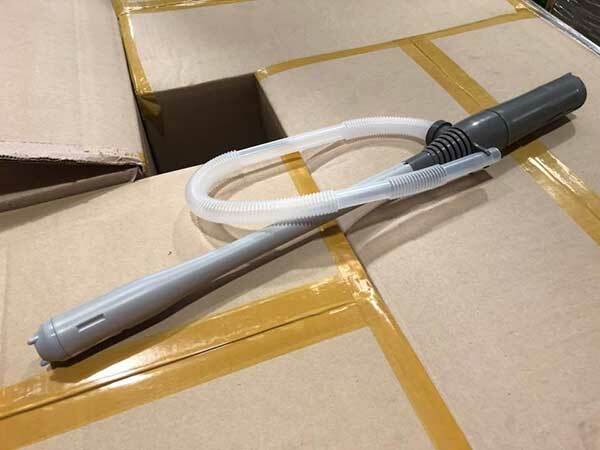 PUMP IT – St George Kart Centre has re-stocked these handy battery-operated fuel transfer pumps. To get one, see your local dealer. 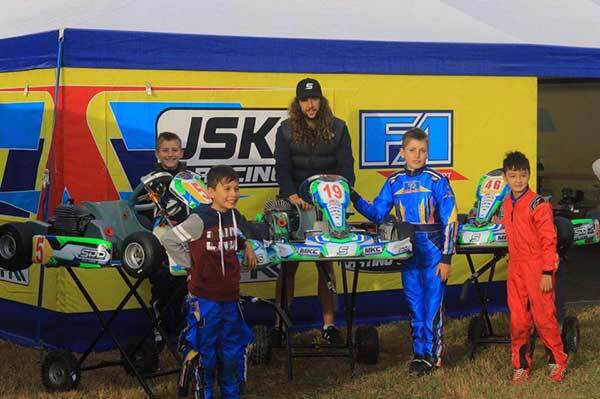 AUSSIE IN ACADEMY – The entry list for the opening round of the 2018 CIK-FIA Karting Academy Trophy has been released. 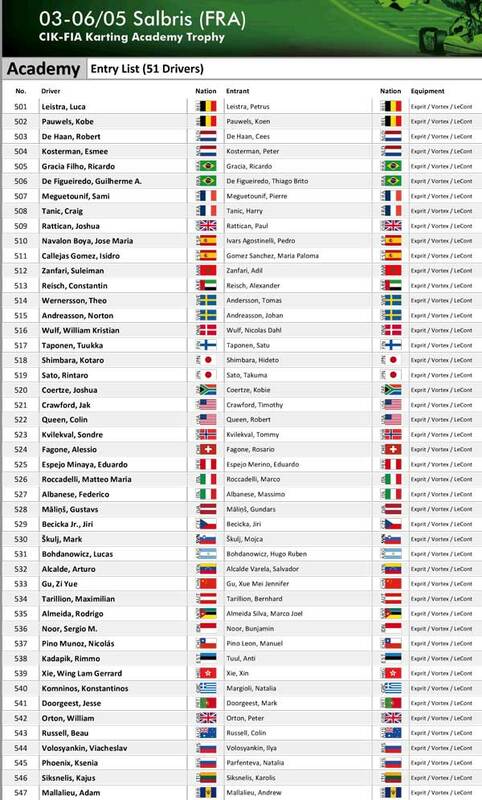 To be run at Salbris (France) on May 3-6, the only Aussie on the list is Victoria’s Beau Russell. All 51 drivers (including three girls) will use identical equipment of Exprit/Vortex/LeCont. As in the previous two editions, the winner will be invited to participate free of charge in the CIK-FIA World Junior Championship (Kristianstad, Sweden, in September) within one of the official OTK Kart Group teams. Academy Trophy round 2 is at Lonato on July 15 with the third and final round at Genk (BEL) on September 9. JET-SETTER JAMES – It’s a big year ahead for James Wharton. In addition to a local program of races (such as Pro Tour, AKC and Vic States), James is set to contest the four-round Rotax MAX Challenge Euro Trophy in Belgium (22 April), Sweden (10 June), Austria (5 August) and Germany (30 September). In fact, the German round sits in a 5-week Euro stretch that includes the Junior World Championship (Sweden, 21-23 September), ROK Cup Challenge (Lonato, 5-7 October), ROK International Final (Lonato, 10-14 October) and WSK Final Cup round 1 (October 19-21). It’s then across to the United States for the SKUSA SuperNationals (Vegas, 14-18 November). Busy Boy! 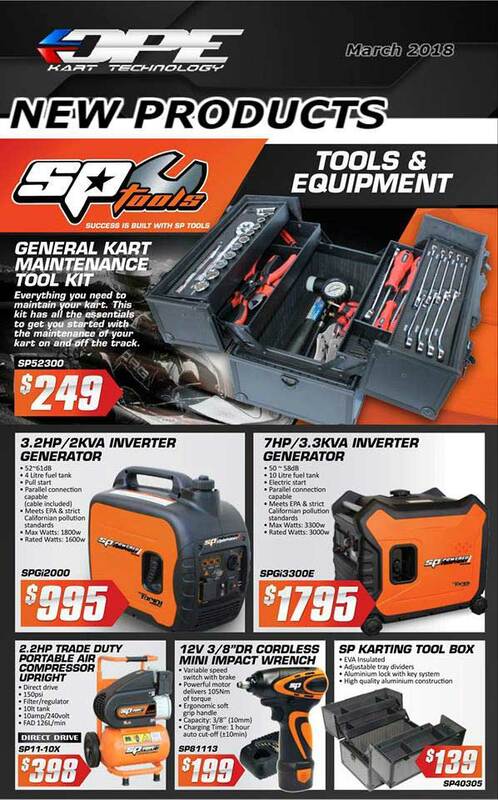 BOX & OTHER BITS – SP Tools & Equipment are now available from DPE Kart Technology dealers. Contact your local kart shop. 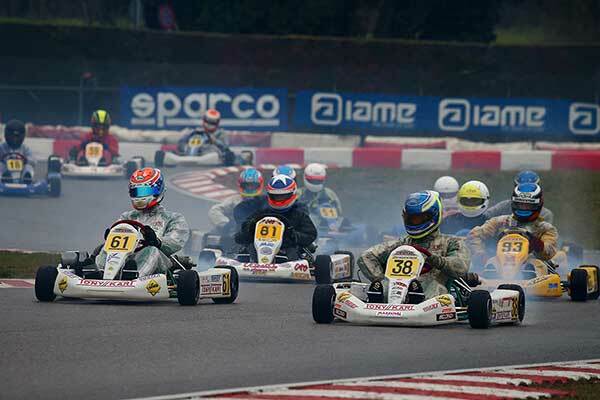 F100 EURO – The 29th annual Spring Trophy at Lonato (Italy) featured a Nations Cup event for 100cc ‘open’ style karts of the 90s. British driver Neil McKernan dominated the meeting on Tony Kart-IAME ahead of Davide Cattelani and the other Brit Nicky Taylor (PCR-Italsistem). Series organiser Luca Corberi (Tony Kart-Vortex) was fourth over the Dane, Jonas Willadsen (PCR-PCR). Further races will be conducted in Jesolo and Castelletto. 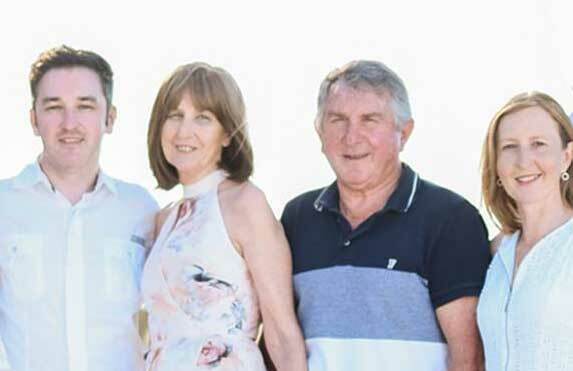 VALE: MARGARET POWLES – Part of a dedicated karting family, Margaret Powles passed away on Saturday March 17, at home and surrounded by family. Based at Numurkah in rural Victoria for many years with a husband who raced nationally (Graham) plus a son who started on track at seven (Glenn), Margaret was a regular at the track. She was always there to support her drivers plus help with the running of the Goulburn Valley Kart Club for many years. More recently the family moved to Queensland. A funeral service celebrating her life will be conducted at Allambe Memorial Park, 129 Nerang Broadbeach Rd (Gold Coast) on Tuesday 27th March at 11:00am. Condolences to all your family and friends. Rest in peace Margaret. 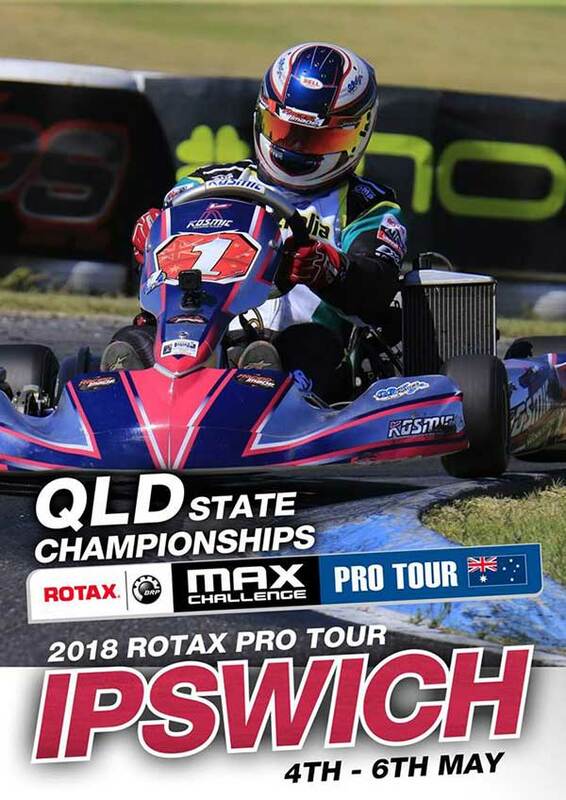 STATE CHAMPIONSHIP – Round 3 of Pro Tour will see the Queensland State Championship winners decided for the Rotax classes. 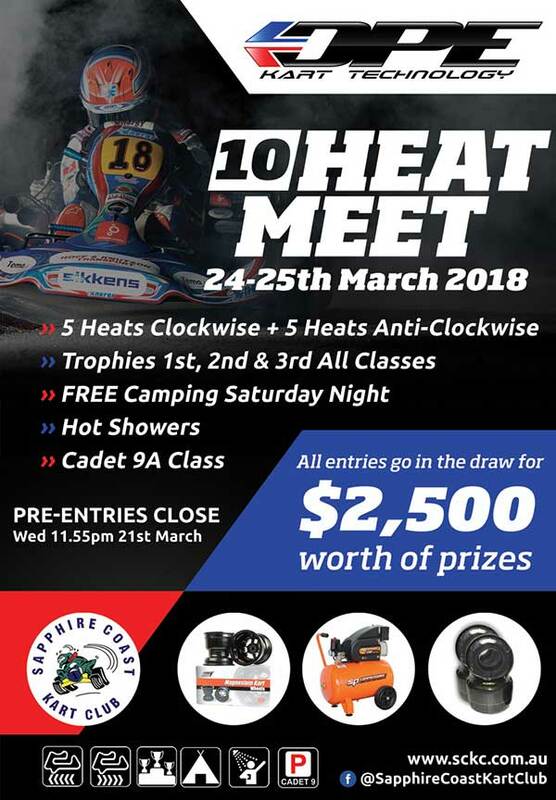 This is a perfect opportunity for drivers to get a Rotax kart organised and challenge the Pro Tour regulars for a blue plate! 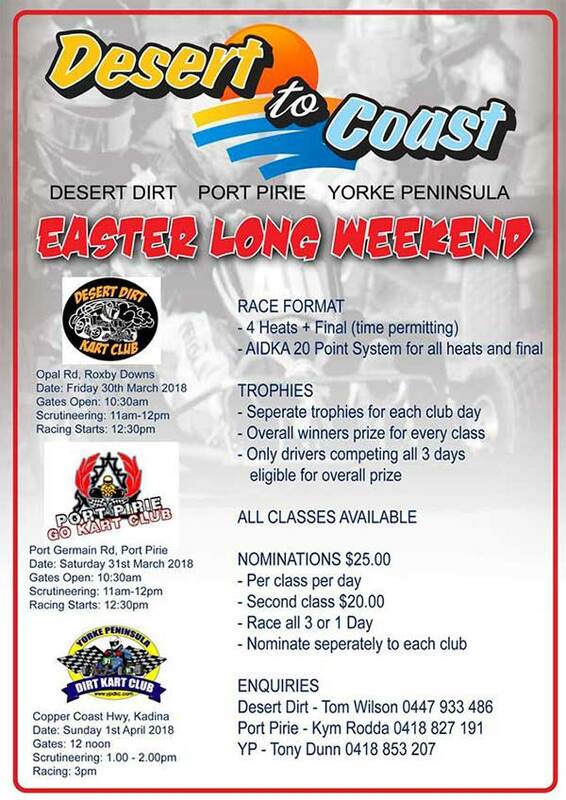 Ipswich Kart Club will host the round on May 4 to 6. Entry is NOW OPEN (closes at midnight, April 13). Download the Supp Regs from the Rotax website HERE. 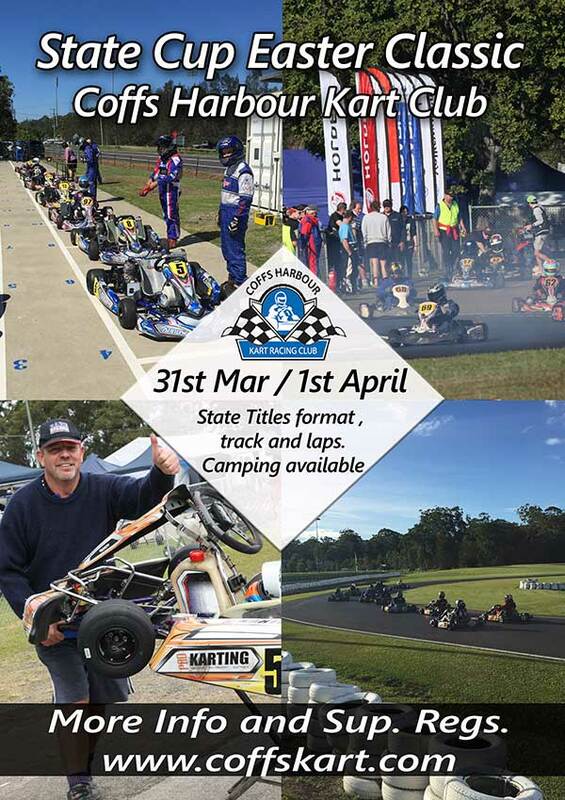 FREE INFO – Melbourne Kart Centre will host a free information night at the Oakleigh Go Kart Racing Club this Monday, March 26 from 6:30pm to 8:30pm. 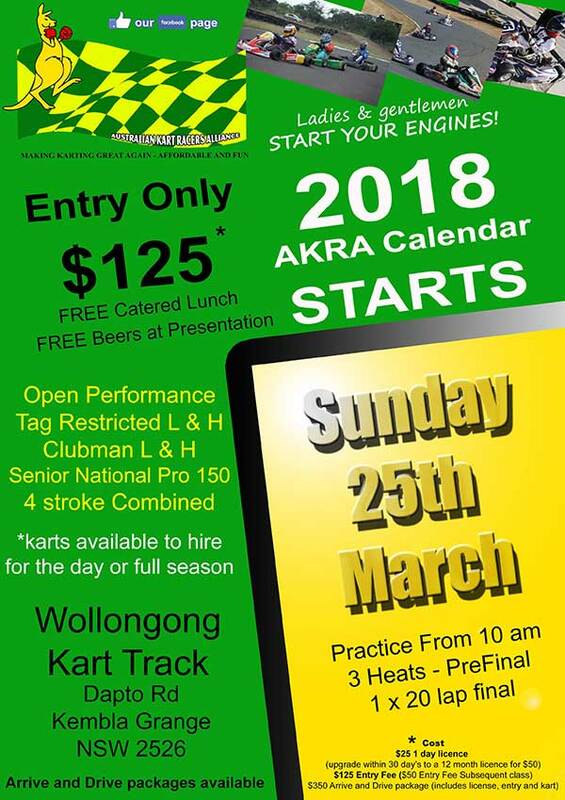 “This night is for newcomers, club day drivers and people generally interested in wanting to be involved in kart racing” David Sera posted. With 24 National & over 80 State Championships combined between him and cousin James, participants will be learning from two of the best in the business and “get on the right track from the outset”. To attend, you MUST register – contact MKC on 03 9551 8982. 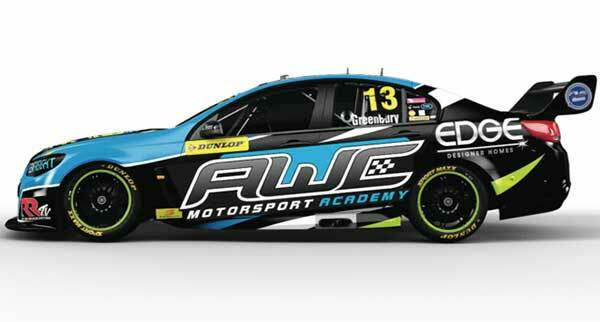 AWC ON A V8 – The AWC Motorsport Academy will be the naming rights sponsor of Tyler Greenbury’s entry at the Symmons Plains round of the Dunlop Super2 series on April 6-8. 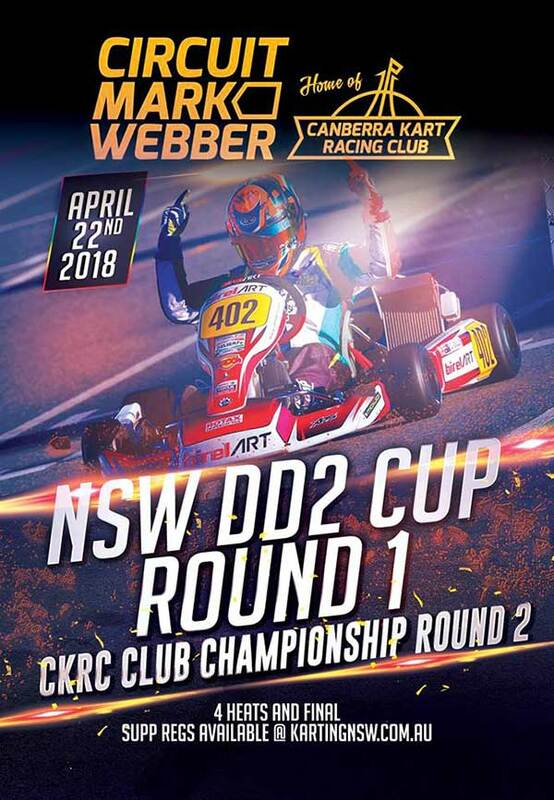 Academy owner Andrew Walter said he was pleased to help out a former karter in his endeavor to reach the pinnacle of Australian Motorsport. “I remember seeing Tyler race at the Nationals in 2008 at Launceston and he really stood out then as a star of the future” Walter said. 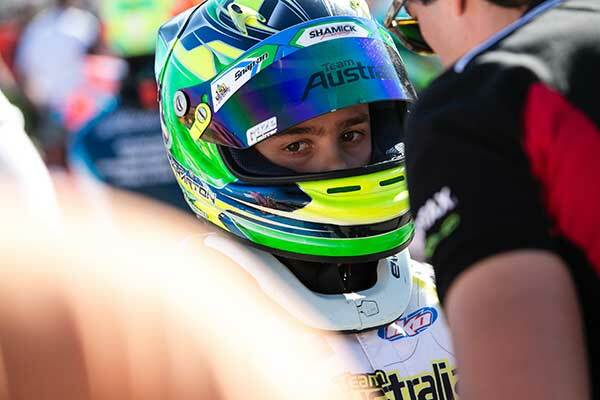 “The whole objective of the Academy is to help young talent progress so it’s pleasing to be able to be part of Tyler’s 2018 campaign.” The AWC Motorsport Academy was set up in 2015 Walter to help young Tasmanian Karters compete on the mainland at rounds of the Australian Kart Championship. This year a couple of mainland drivers have been added to the AWCMA squad with current Australian Champion Jay Hanson along with New South Welshman Dean O’Brien joining locals Fletcher Bellars, Callum Bishop, Lochie Dalton, Alastair Lee and Zane Wyatt. PROMO POSTERS – Are any of these events near you? Go karting! Do all three days or your choice of 1,2,3 days. Nominations separate to each club.